When you need decent bass and don’t have room for a four foot sub-woofer in your living room what do you do? If you’re like any other audiophile, you look into different brands and go with the one that appeals to you the most. For a lot of people, Bose is the perfect choice for audio clarity, strong bass and a small footprint. We’ve been big fans of Bose speakers and other products for ages. With the release of their new smart speakers in both black and white, namely the Bose Soundbar 700, the Bose Soundbar 500 and the new Bose Home Speaker 500 (which are all now available at Best Buy) we’re excited to give them a quick look. 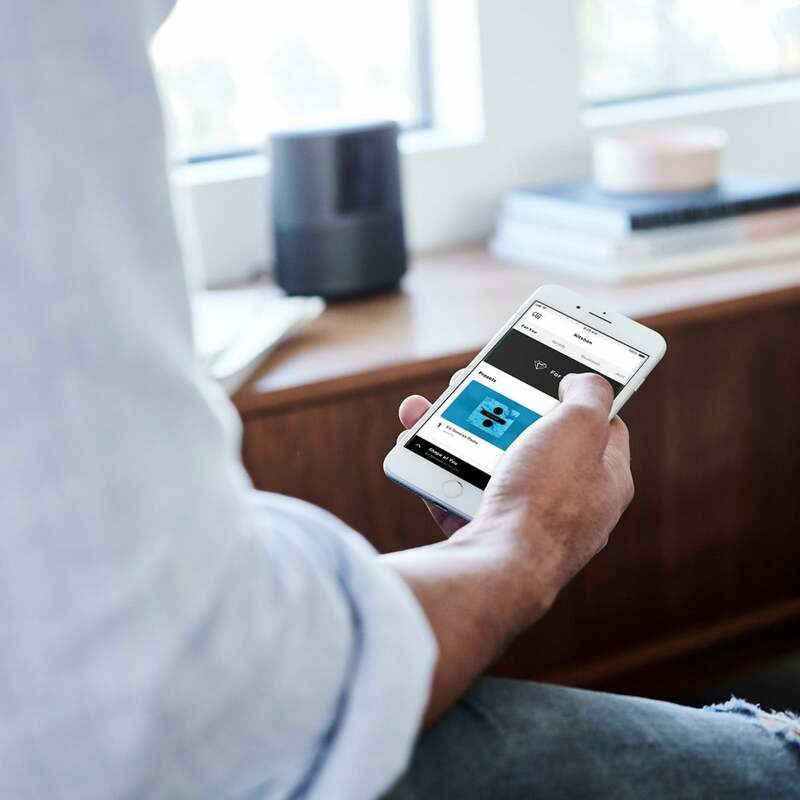 Though Bose may not be known for their low price tag, they are known for their quality sound and, with the growing trend of smart speakers in every room, there is definitely a hole to fill when it comes to sound quality from your average smart speaker. 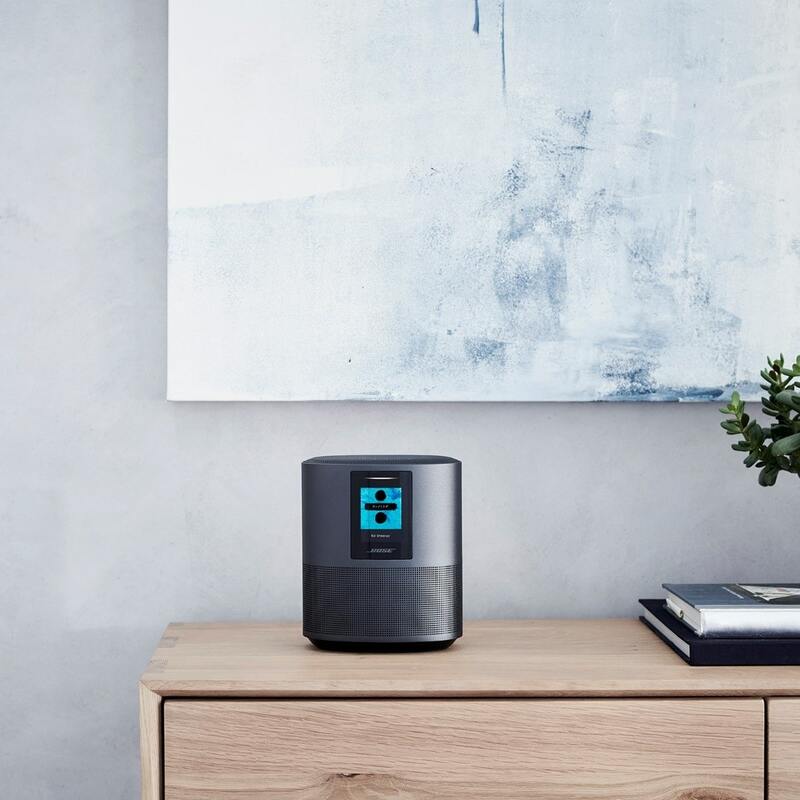 With millions of songs at your fingertips, and built-in voice control via Amazon Alexa, the new Bose line of smart speakers makes the simplicity of home automation not only look good but sound good as well. As anyone who has purchased a new television in the past few years can tell you, TV’s just don’t sound as good as they used to. That’s because as TVs become thinner and thinner, so too does their sound. Either the technology to produce good bass, mids and highs isn’t there yet for TV’s thinner than an inch, or the price to achieve that is higher than the average person is willing to spend. This is where a good soundbar can make that beautiful 4K TV really shine. Bose has released not one but two smart soundbars to help you get not only the most out of your high end TV and to help you stay connected. With both WiFi and Bluetooth compatibility, streaming wirelessly has never been easier. With Alexa voice and all its awesome features built-in, it can also be your home entertainment hub with everything from control of your lights, locks and thermostats and to your timers, reminders and shopping lists. The new line of Bose soundbars can also stream millions of songs, podcasts, online radio stations and even audio books from providers like Amazon Music, iHeartRadio, TuneIn, SiriusXM, Pandora, Spotify, and Audible. If you’re not all into the voice control aspect, you can also enjoy one touch access on the device itself. 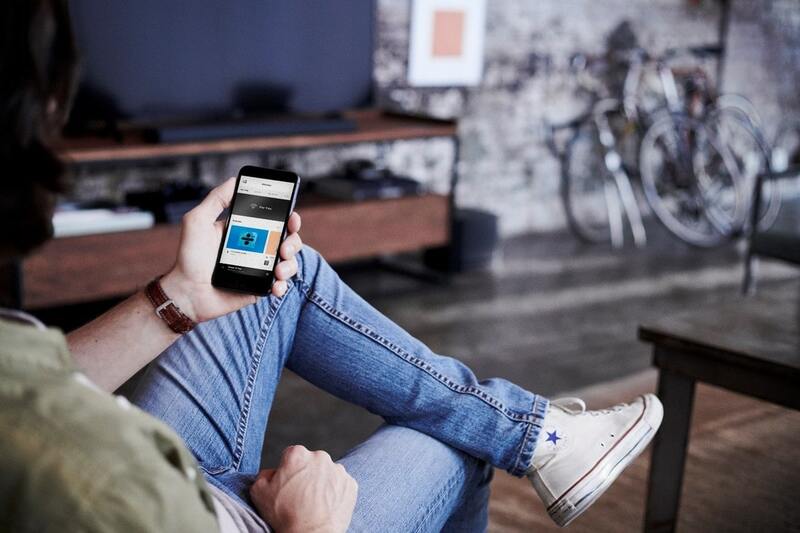 If you want even more control, you can manage it all from the comfort of your couch with the Bose Music app. One of the nicest parts of the new Bose line is that all the speakers and soundbars work together seamlessly. Need more bass, just add a wireless subwoofer. Want better surround sound, just add a few more speakers to the rear. Want your whole house rocking, play your music on every Bose speaker at once. The possibilities are endless. 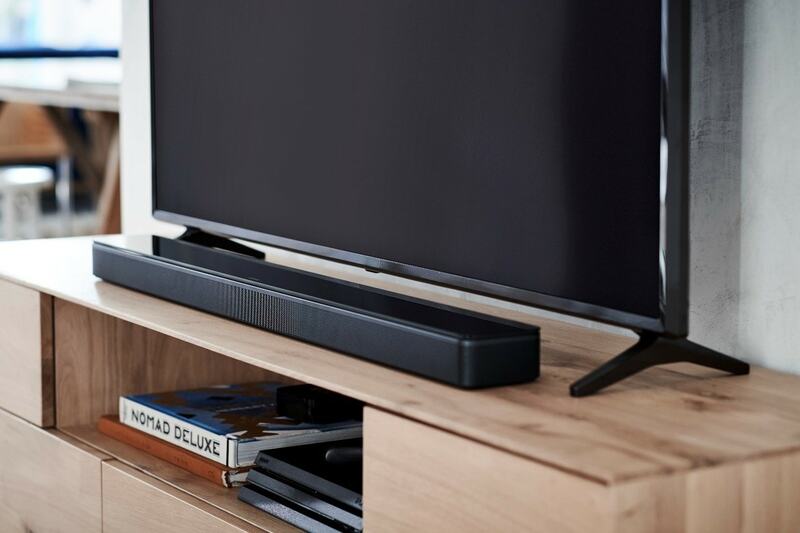 Designed as the world’s best soundbar, the Bose Soundbar 700 has exceptional sound and a beautiful design. The slim, seamless all metal construction with black tempered glass top fits in right beside even the best TV’s on the market today. Touted as the best soundbar Bose has ever made it’s easy to tell why. The Bose Soundbar 700 has 7 custom drivers delivering heart pumping sound with great bass that will engulf the entire room with wide, cinematic sound and put you in the drivers seat of every movie you’re watching. Whether you’re controlling the Bose Soundbar 700 with the dedicated app, the included well thought out context-sensitive universal remote or simply via your voice via the 8 microphone array, the soundbar lets you jump from movie to music to checking the weather quickly and efficiently. Check out the Bose Soundbar 700 at Best Buy here. Don’t let the Bose Soundbar 500 fool you, this little brother to the top of the line 700 still delivers great sound but with a much smaller footprint. Super slim and sophisticated at only 2 inches high (5 cm), it looks great even under today’s thinnest televisions. With a more simplified remote, you still have access to the Bose Soundbar 500 via the Bose app or you can just tell Alexa what you want. Need a recipe, want to listen to your latest audiobook, hear the latest news or find out what’s in store for you for the day, the built-in Amazon Alexa is only a word away. View the Bose Soundbar 500 at Best Buy here. As great as Bose’s new soundbars are, we’re most excited with the new Bose Home Speaker 500. With multiple smart speakers in our home, we know how easy it is to be complacent when it comes to home speakers. Small and cheap, they often put out the same amount of sound, small and lacking bass. With the Bose Home Speaker 500 you get the same rich sounding experience you get with all Bose products. With their game changing sound drivers they can create awesome sound from even the smallest products. No longer are we stuck listening to bass free music just because we often crave simplicity over sound and our current home speakers (namely Google Minis and Amazon Echos) just don’t cut it when it comes to rich sound. With the built-in Alexa app, the Bose Home Speaker 500 not only gives us great information like news and weather but can fill the room with the widest sound of any smart speaker and that’s where the Bose Home Speaker truly shines. With tons of new features being added all the time plus the thousands of skills already out there for Amazon Alexa, there is no bounds to what you can do with a Bose smart speaker these days. Check out the Bose Home Speaker 500 here at Best Buy.